Brimming with workshops, demonstrations and stalls, join in the woolly celebration. 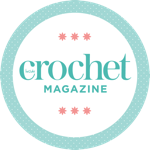 Meet over 150 stallholders showcasing their creative wares for crochet, knitting, weaving, spinning and more. Plus, enjoy a rare breeds parade, local Cumbrian fell sheep breeds, with plenty of farmers and breeders to chat with. This year, visitors are asked to create fl owers to raise funds for West House, a local charity that works with people with disabilities creating opportunities for work. Tickets £10 per day (including parking and programme) or £15 for a two-day ticket. For details pop to www.woolfest.co.uk.